We’re in the middle of a sea-change, driven by a global desire to protect our planet’s fragile resources. This means that your customers increasingly want to know about the ‘farm-to-fork’ journey of the food on their plates. And beyond this, a bigger hunger for food transparency is growing: food sustainability. For the hospitality industry, that means making sure that the ingredients you use are sustainably sourced. By choosing this new approach, you as a chef, are helping to make sure that there’s plenty of food supplies for future generations. We want chefs to feel truly confident about the ingredients they’re using. And with more customers choosing restaurants with sustainability at the very heart of their menu, it’s a win-win. Happy customers will spread the word about your sustainable approach, leading to more coming through your doors. At Unilever Food Solutions, we believe that change must come from the bottom up, so that’s why in 2010 we established a major million-euro Partnership Fund to help our suppliers improve their own sustainability practices. 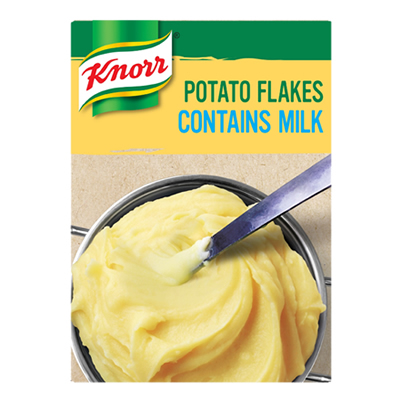 Moreover, we are committed to making sure that all the ingredients that make up Knorr food products are 100% sustainably sourced by 2020. Knorr also champions better ways to cook for a more sustainable food future. This means flavours are created sustainably from natural and high-quality ingredients, with new preparation techniques and dish ideas. So, it’s better for your dishes, better for the world and better for tomorrow. So far, there are 25 farms – and counting – across the globe that are striving for best sustainability practices. This allows them to produce the highest quality vegetables and herbs and rear the best-quality livestock for our products. And their commitment is paying off. By the end of 2013, 48% of our agricultural raw materials were sustainably sourced. Palm oil is another key ingredient used for its taste and texture not just by Knorr, but many competing brands as well. And the good news is that we’ve already achieved our goal of sourcing the oil from 100% sustainable sources. Our ambition by 2020, is to be able to proudly say that all the palm oil in our products come from certified, traceable sources. The ingredients are just part of the sustainable story. We are also tackling our carbon footprint. At the Knorr Head Kitchen in Heilbronn, Germany, energy consumption has been reduced by 37% and C02 emissions by 53%. We’re also planning to cut greenhouse emissions by 2020 – a goal that will be achieved by stopping transporting our products to customers by air. And we’re not forgetting the big P.
As one of the world’s biggest food & personal care product companies, we’re already tackling the issue of widely-used PET plastic. Read about our innovative circular recycling plan.